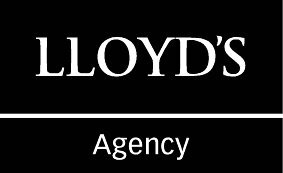 The professional expertise of Lloyd’s Agency Malta available through O.F. Gollcher & Sons Limited ranges from experienced cargo surveyors and specific commodity experts, to marine engineers and master mariners. We have a wide experience ranging from groundings and collisions to involvement with fire and explosion investigations. Gollchers have held the appointment of Lloyd’s Agency Malta since 1883. With approximately 270 Lloyd’s Agents and a similar number of Sub Agents, covering major ports and commercial centres around the world, the Lloyd’s Agency network forms the world’s extensive surveying and adjusting network. We also represent the American Institute of Marine Underwriters, CESAM, Scandinavian, Japanese and most Far East Underwriters as well as worldwide insurance companies and mutuals. We act as nautical inspectors on behalf of Flag States and are frequently instructed by hull and machinery insurers, particularly in respect of vessels calling for repair at the Malta Shipyards. We also regularly attend to the interests of P&I Clubs, shipowners and charterers. As part of our commitment to provide our business partners, principals and customers with a consistent first class service, we have implemented a quality system meeting the requirements of (MCCAA) SM EN ISO 9001:2015. Our main area of operation is Malta from where we are also frequently requested to dispatch our surveying expertise to other Mediterranean countries including North Africa.